Last weekend S and I were lucky enough to travel with a few friends to the stunning and fascinating city of Istanbul. As I wrote here, our favorite thing about traveling is exploring the local culture through its food. 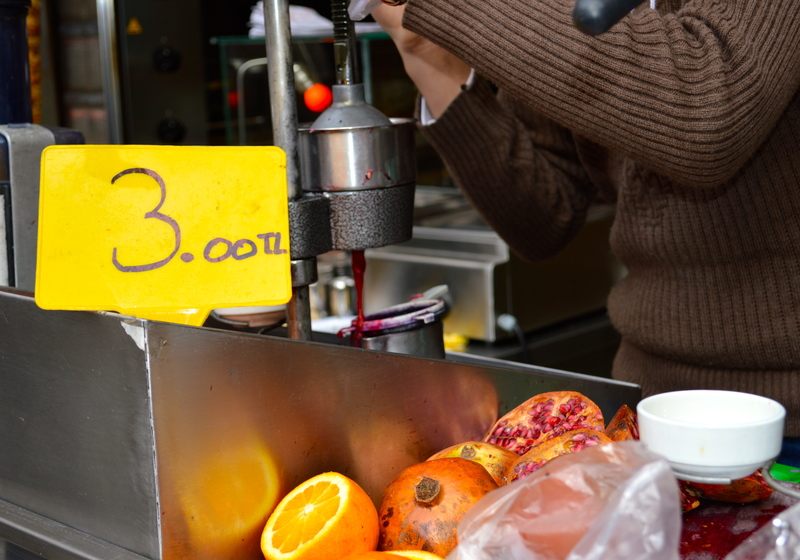 After four days of non-stop eating, Istanbul’s culture quickly made its way to into our hearts through our stomachs and now ranks among our favorites. I guess when a city has such beautiful architecture and a Bosphorus view, the food has to work extra hard to compete, and Istanbul’s food is certainly a worthy opponent. 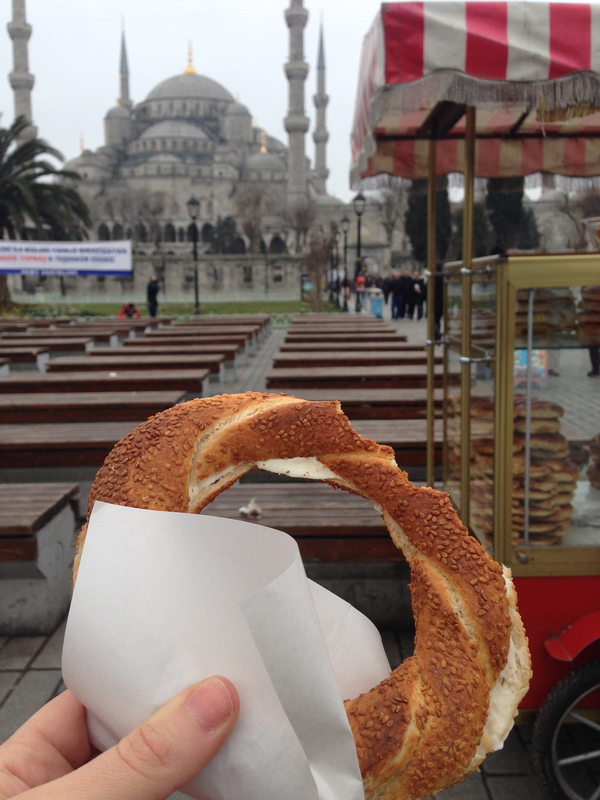 Everyday in Istanbul, my senses were dazzled with an enchanting mixture of East and West: the sights of the mighty Bosphorus, ancient mosaics, and painted tiles; the sounds of the call to prayer and street musicians; the smells of roasting chestnuts and spinning lamb döner; and the tastes of exotic spices mixed with yogurt, meats, seafood, and dried fruits. To me, this eclectic mix of East and West, old and new, was simply irresistible. 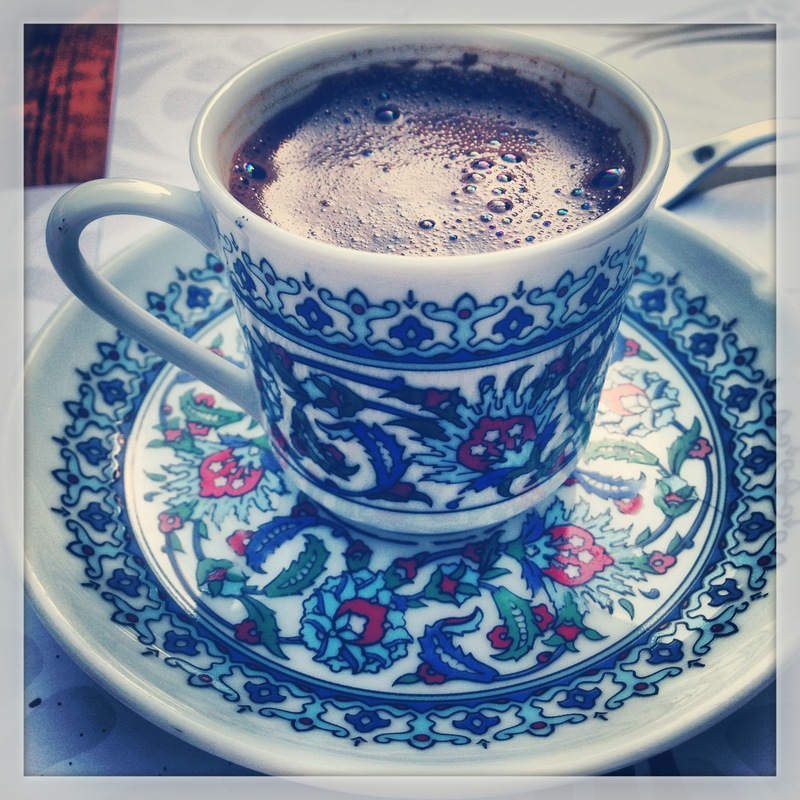 On our first day in the “City of the World’s Desire,” after arriving at 2am and taking a quick nap, we set out for some Turkish coffee and breakfast. 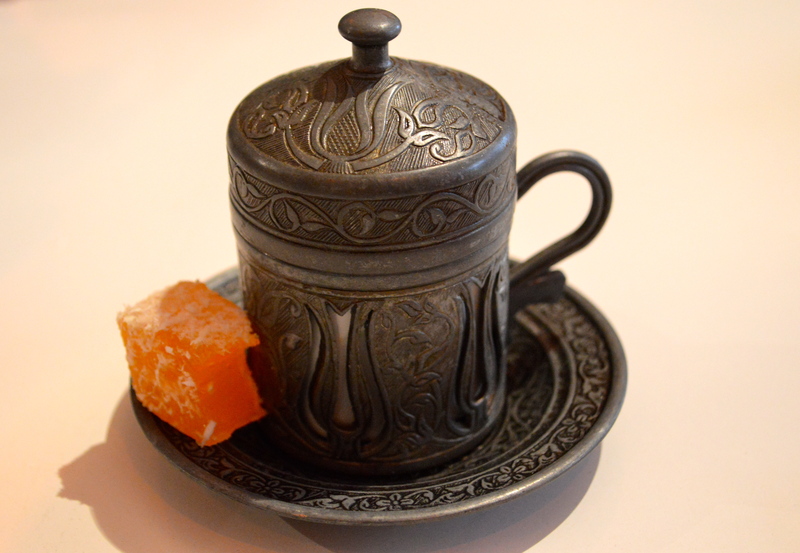 A cup of Turkish coffee may be small, but it sure is mighty…and it’s as delicious as the cup it’s served in is beautiful. S ordered a kebab for breakfast, his first of about seventy and I had a plate of vegetables to dip in yogurt spiced with garlic and dill. With the Blue Mosque in our sightline and a cool breeze to wake us, we would be so lucky if every day could begin like this. With Turkish Delight. The perfect pairing. 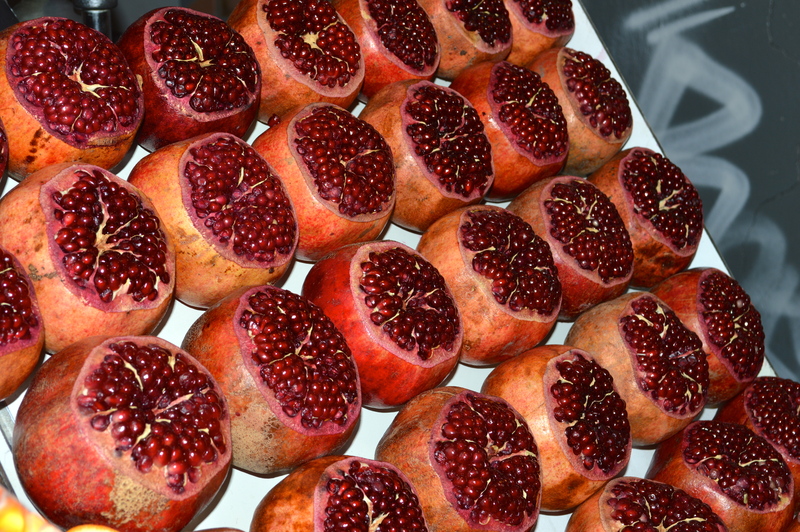 As we walked around the city, we tried fresh squeezed pomegranate juice – the perfect refreshment and pick me up – and simit, a bagelish sandwich covered in sesame seeds with a goat cheese spread. 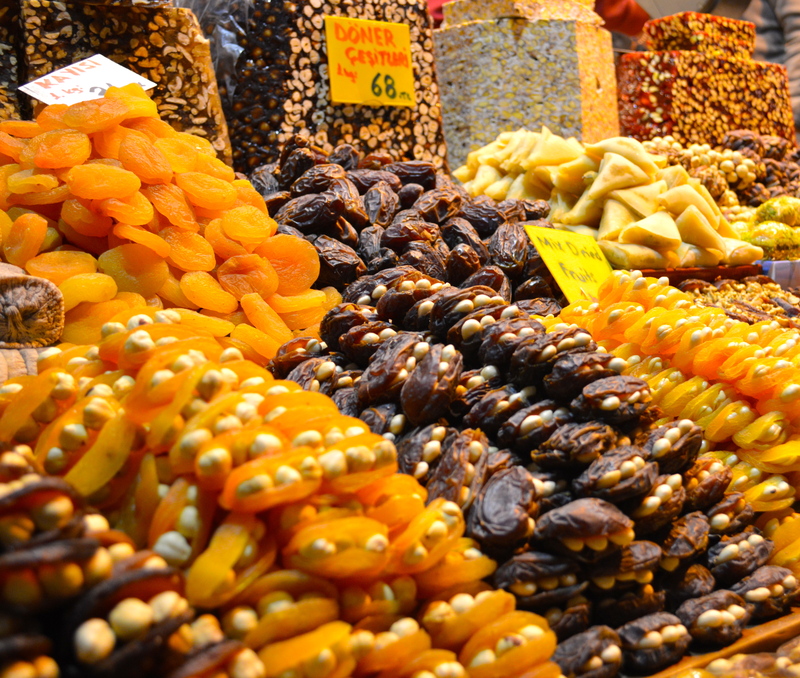 In the spice market, we stuffed ourselves with samples of nuts and apricots, and apricots stuffed with nuts. 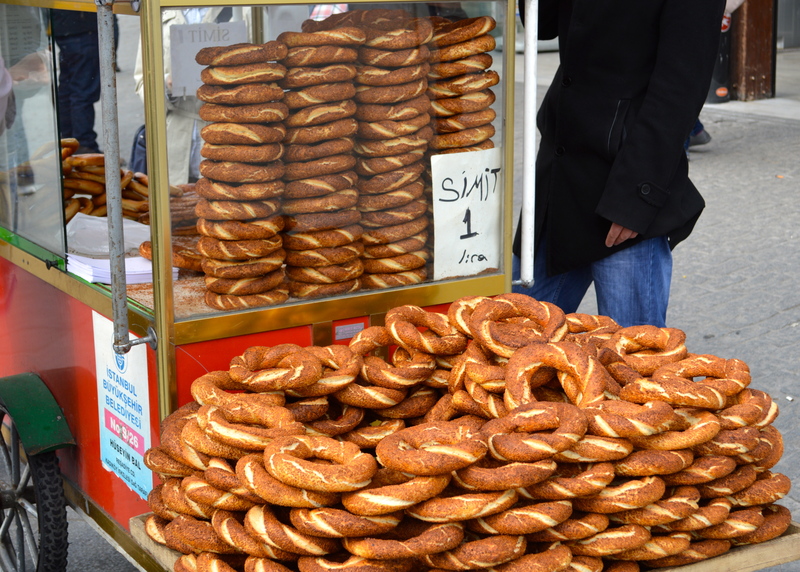 Simit. I think these would also be nice as bracelets. 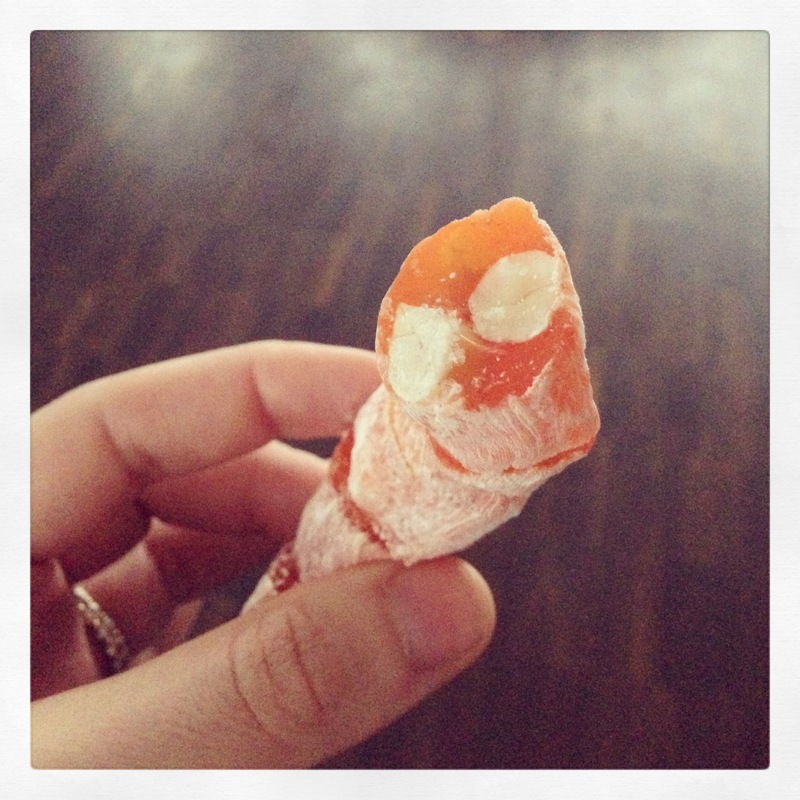 I don’t recommend the Spice Market on a Sunday, but I do recommend the apricots stuffed with macadamia nuts! 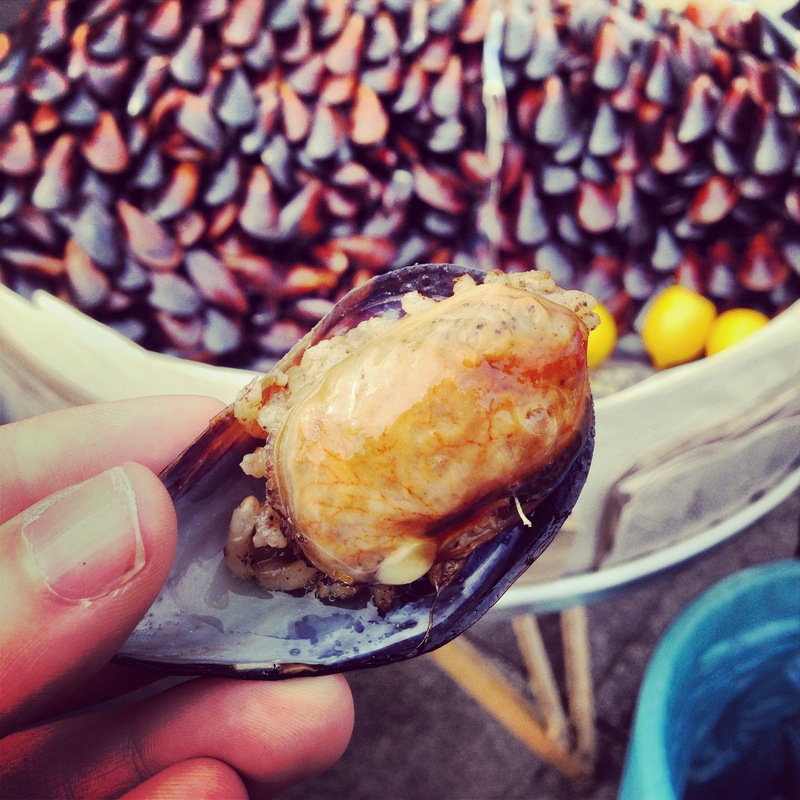 On the banks of the Bosphorus, we enjoyed midye dolma, which are steamed mussels stuffed with rice and spices and served with a squeeze of lemon. A favorite snack for many, we made these a whole meal on more than one occasion. These large drums of perfectly stacked and enchantingly fragrant, glistening blue and black shells dot the shoreline of the Bosphorus around each ferry terminal and bus stop. The story behind the young men who collect, cook, and sell them, mostly Kurds from mountain towns, is a fascinating (and fairly recent) history described here by Maggie Schmitt in The Atlantic. Everyday (more than once everyday), we tried the local delicacies of baklava, lokum (Turkish delight), and künefe. Oh my goodness künefe. It’s cheese wrapped in shredded phyllo dough and soaked in a sweet syrup. Where has this gastronomic miracle been all my life?!? After we scarfed down our first künefe, our waiter informed us that it’s even better with ice cream on top. Something he could have told us before we started!! Oh, euphoria mixed with frustration and disappointment. I’ve forgiven him for forgetting the ice cream…and America for championing baklava over künefe? Nope, not really. 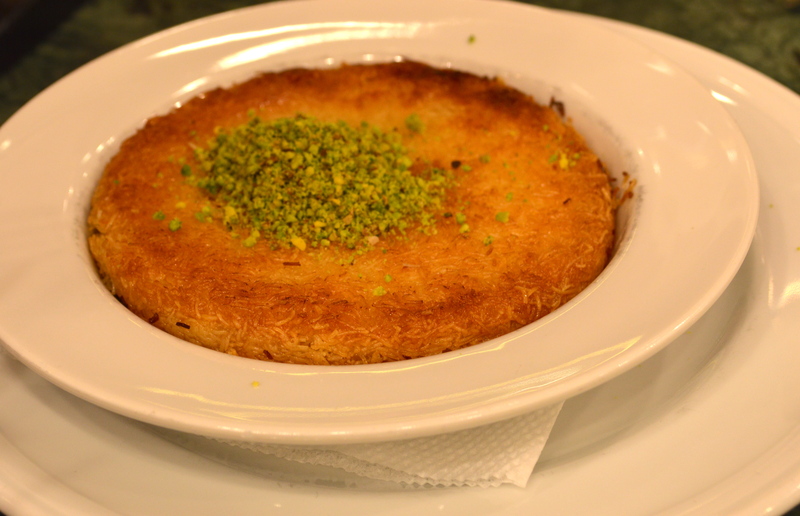 I need more künefe in my life. 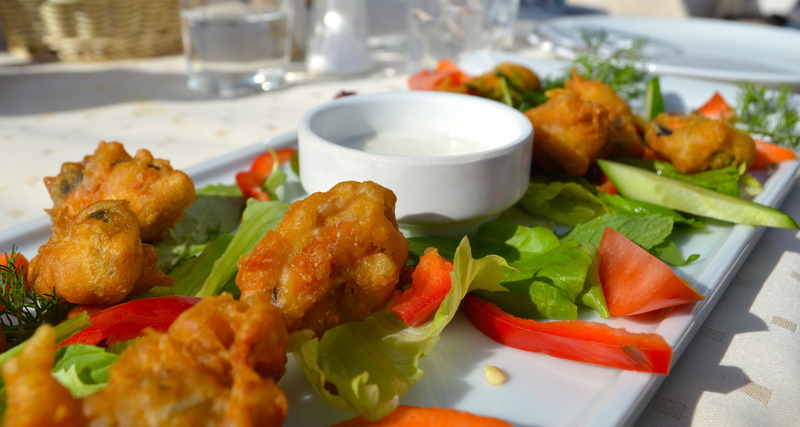 All weekend, I was on a quest for fried mussels with yogurt sauce. On our last day, just before we had to leave for the airport, our friends found a charming little restaurant called Seatanbul. 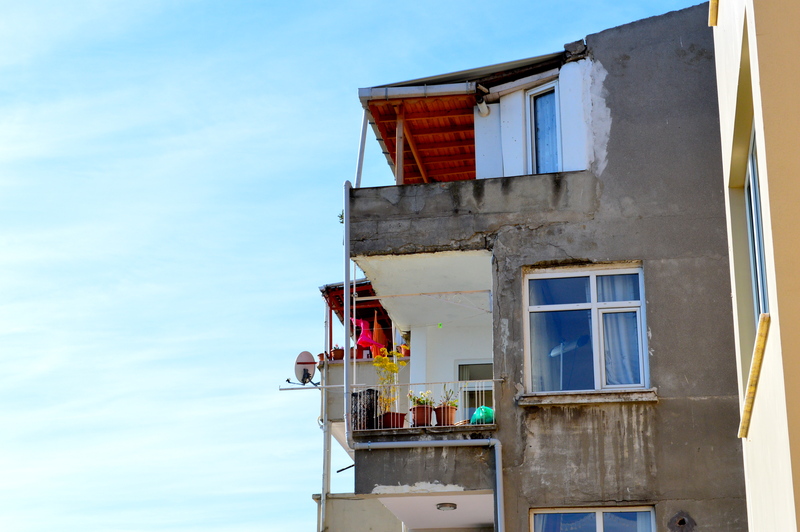 It had a terrace overlooking the Bosphorus and Sea of Marmara, and served the most delicious seafood. With the sun on our faces, we tried the fried oysters and they did not disappoint. We also had a cast iron bowl full of sea bass and vegetables in an amazing creamy saffron sauce. Despite the heat of the dish, we drank every drop. Prior to boarding our flight with heavy hearts, dreaming of a return trip to this beautiful city (and beautiful food), we raised a toast with the local beer. 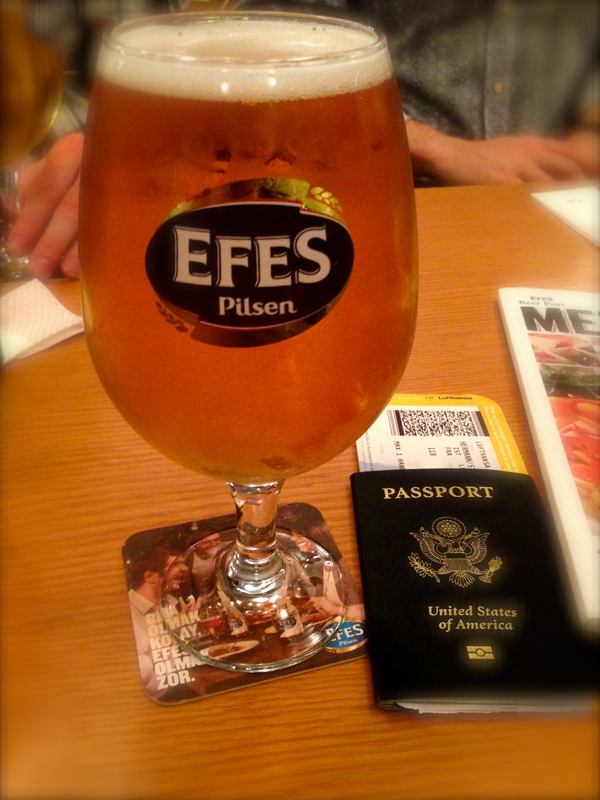 Cheers to you, Istanbul, and bon appetit.